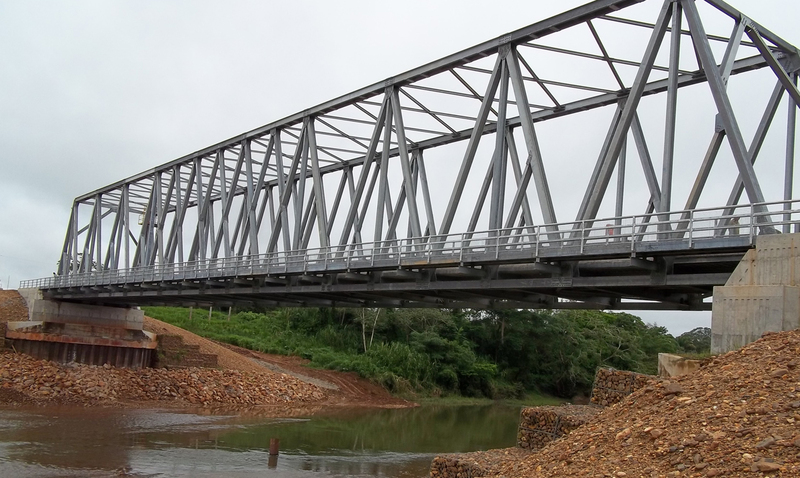 The new Kendal Bridge in Southern Belize, supplied by Qualter Hall, is now in use and declared officially open. This new bridge replaces the original which was washed away during the devasting floods caused by Tropical Storm 'Arthur'. The project, undertaken on behalf of the Government of Belize, was funded by the Caribbean Development Bank. It was in 2008 that 'Tropical Storm Arthur' left a trail of destruction in Central America and particularly hard hit was the Caribbean coastline of Belize. In a flash flood that sent walls of water as high as 10 metres, the original 33 year old Kendal Bridge across the Sittee River was washed away, resulting in traffic on the only north-south route in the country, the Coastal Highway, being severely restricted. Immediately after the storm the river was only crossable by a temporary single-lane bridge, but at only 1.5 metres above water level it was too low and often subject to submersion during heavy rains. 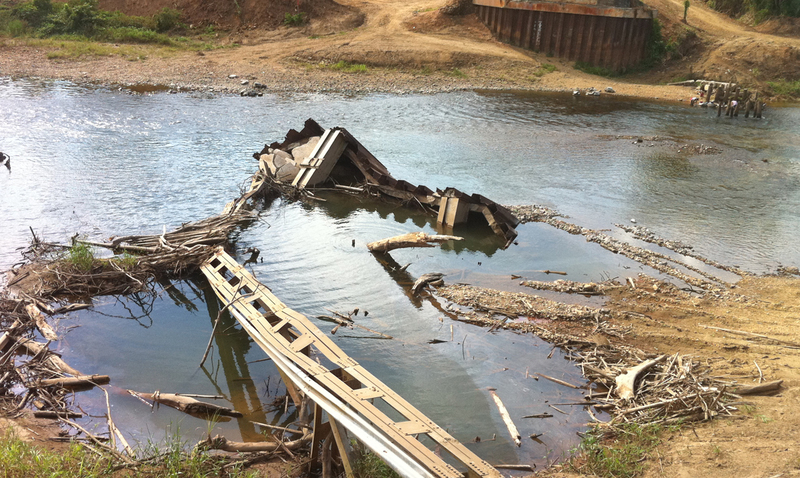 Initially the US government pledged its support to the Caribbean state, in helping to construct a new bridge. But the long-awaited bridge - then still at the planning stage - turned out to be too small, which is why in 2010 there was a re-tendering of the project. This time the Caribbean Development Bank stepped in and provided sufficient funds for the building of an appropriately dimensioned bridge at this vulnerable spot on one of the most frequented roads in Belize. 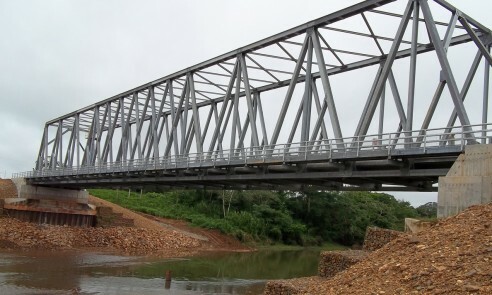 Two years after the collapse of the original bridge Qualter Hall were awarded the contract, through main civil contractor Cisco Construction Ltd of Belize, for the design, manufacture, supply, supervision of installation and commissioning of a new 90 metre long, 11.5 metre high, single span, two lane roadway steel Modular Bridge (approximately 300 tonnes). The new bridge has been designed to withstand extreme wind loads during hurricanes and tropical storms, making this centrepiece of one of the busiest highways in Belize hurricane proof. 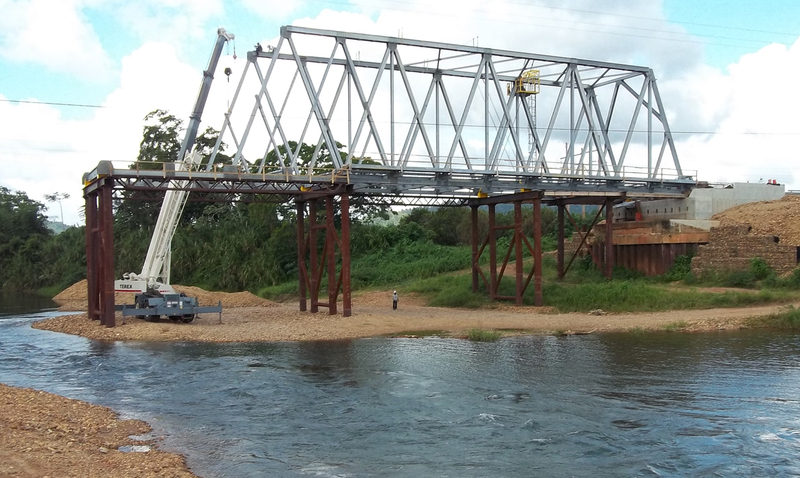 A year later the new bridge had already been manufactured, with the new steel structure fully assembled on a trial basis in Yorkshire prior to shipping it to Belize. 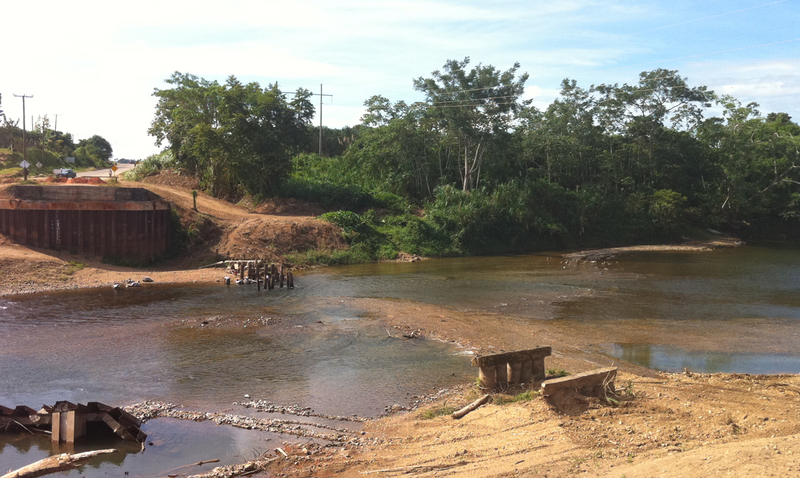 Following shipment to Belize it was then erected on temporary pillars in the river bed and during 2012 the new bridge was first opened to traffic. 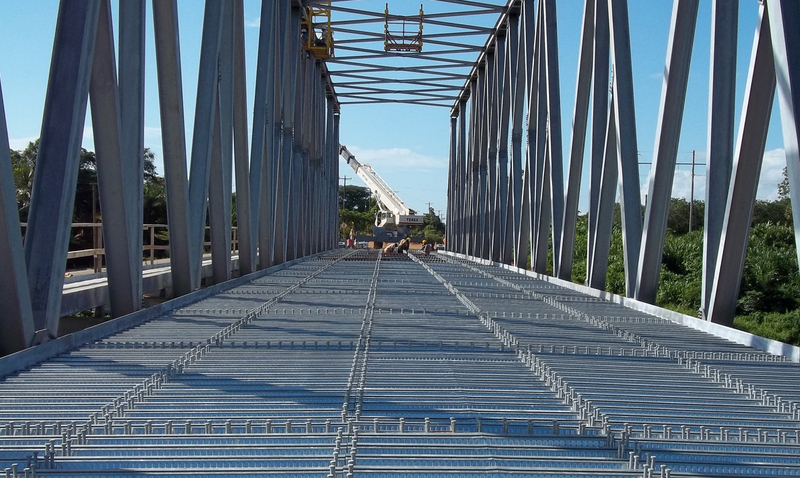 The design of the 90 metre long, 11.5 metre high, single span steel Modular Bridge was carried out in conjunction with Qualter Hall's sister company Waagner-Biró Bridge Systems, utilising state-of-the-art 3D software and real-time exchange of digitised data. The bridge deck, 8 metres wide, accommodates a two-lane roadway. It is composed of a 24cm thick reinforced concrete slab and a 3cm thick pavement, placed on top of a permanent formwork made of trapezoidal sheets and bonded to the steel frame by means of shear studs. 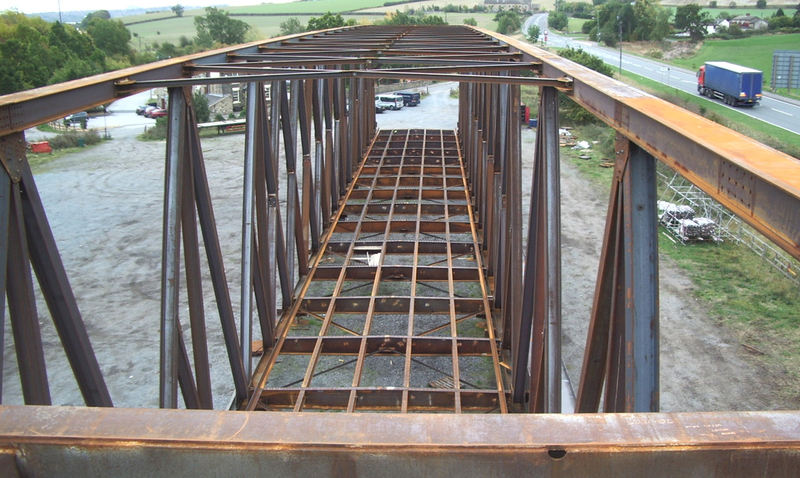 The use of this composite structure of steel and concrete helped to optimise the structural behaviour of the steel truss, delivering a cost effective, yet state-of-the-art bridging solution. A 1.3 metre wide walkway for pedestrians and cyclists is cantilevered off one side of the bridge. 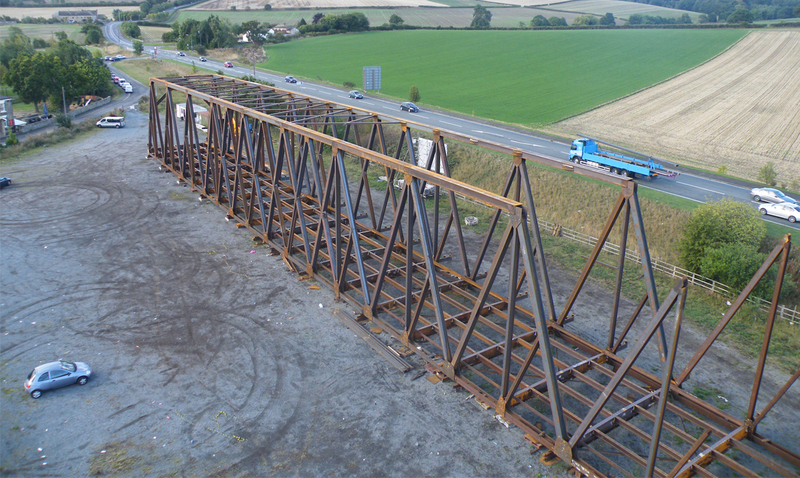 Rolled sections in lengths of up to 12 metres were bolted on site onto the main truss using pre-stressed bolts and gusset plates, some of which weigh nearly 1.2 tonnes. These together with the factory welded cross girders set at a distance of 4.5 metres from each other, the longitudinal girders both placed beneath the bridge deck and the two main trusses one on either side, form the basic structure of the bridge. Bolted field splices were utilised to allow for easier installation and no welding had to be done on site. As the structure is subject to extreme wind loads during hurricanes and tropical storms, the wind bracings at the height of the upper chord and the rigid reinforced concrete slabs were designed not only to resist the resulting enormous horizontal forces, but also to deflect them to the end portals of the bridge and into the foundations. Consequently the portals were strengthened by using box girders made of extra thick 50mm steel plates. 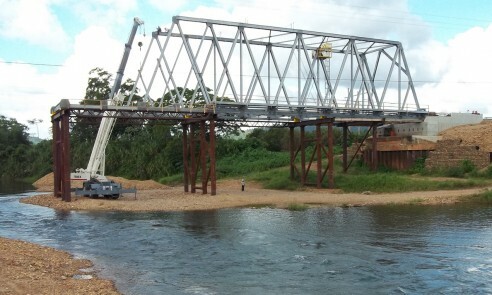 Due to a lack of lifting equipment of sufficient capacity and jib lengths in Belize a number of installation proposals were put forward and adapted to the specific on-site conditions. It was decided to build the bridge beam by beam, using a cantilever method and four temporary frames placed at 18 metres apart as auxiliary pillars. This then made it possible for a specially sourced 60 tonne crane to lift in components with a maximum weight of 4 tonnes, up to 22 metres above the river bed. In addition, the on-site engineers had the added challenge of completing the assembly of more than 5000 individual components and almost 7000 bolts in as short a time as possible, due to the threat of the forthcoming rainy season.